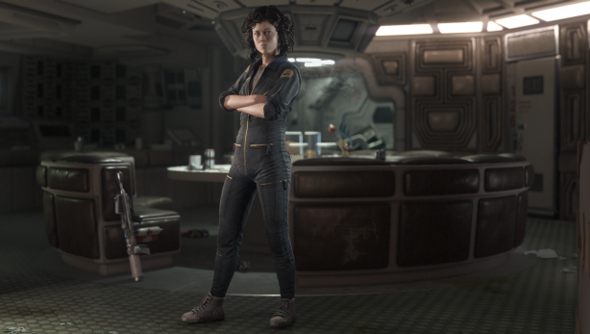 Creative Assembly set the standard for pre-order DLC last week with the announcement of two Alien: Isolation missions: sourced directly from 1979 Alien’s third act and featuring the determined tenor of Sigourney Weaver for the first time ever in a vidyagame. But some were understandably peeved that the missions necessitated a pre-review purchase or deals with retailers they’d never normally cross the front page of. Thankfully, Creative Assembly have admitted that both missions will be available elsewhere after the game’s release. “It’s genuinely been great to see the reaction to The Crew Expendable and Last Survivor pre-order bonus content we announced yesterday and how excited you all are to re-experience those classic scenes from the original movie with our Alien,” wrote a Creative Assembly community mananger on Facebook. “It’s been absolutely amazing for us at the Studio. But not before Sega have accrued as many pre-orders as they think they’re gonna get, natch. The two levels in question will cast players as key characters in scenes from the 1979 film. Crew Expendable will task Ripley, Dallas or Parker with luring the alien into an airlock in the aftermath of Brett’s death. Last Survivor will follow Ripley’s escape from the Narcissus. The first will be included in the game’s Nostromo Edition, and the second only in copies of the game purchased from selected sellers in the UK. Are you filled with chest-splitting excitement at the thought of Weaver’s first Ripley reprisal in 17 years? Weaver was reportedly “very touched” by Alien: Isolation’s premise. The game’s out in October.